Essential. One of the best places to enjoy the sunsets of Ibiza. And throughout the year. Thanks to its orientation, any month of the year is good to approach this beautiful set of coves. Calls Platges de Comte or Cala Conta, from them you can see the islets of Sa Conillera, des Bosc and the set of islets of Poniente . And its waters are among the most spectacular of the island. All a classic. 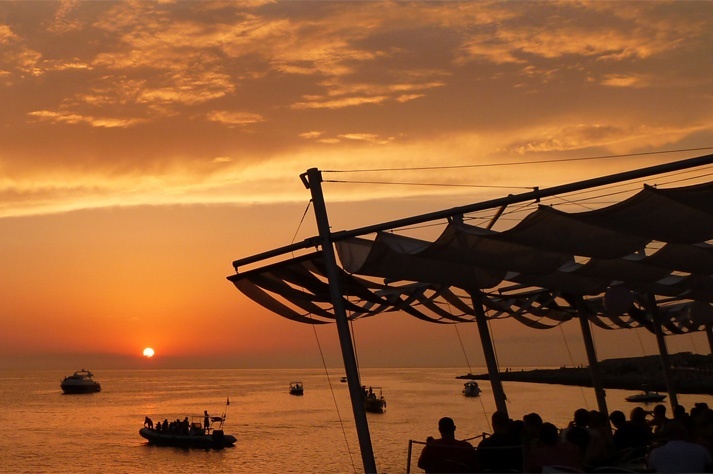 From May to October, this stretch of the promenade of Sant Antoni is encouraged at sunset, when the best chill-out music of Café del Mar, Café Mambo and other sounds. After sunset, electronic music takes over and the atmosphere becomes even more festive. During July and August, this section concentrates a large number of attendees, so if you do not like crowds better walk to Caló des Moro, much quieter. You can enjoy the sunset from the viewpoint or find your new favorite spot on the cliff. From here you can not only see the islets of Conillera and des Bosc, (south) but also the imposing out Nonó (northbound). And if you want to have a drink, you will find the Hostal La Torre. For romantics. Another essential sun setting, with the iconic island of Es Cap Bernatin the background. In summer, on Sundays and full moon day concentrated a large number of attendees who come to enjoy the sunset to the beat of drums. An event that becomes crowded during the months of july and august. 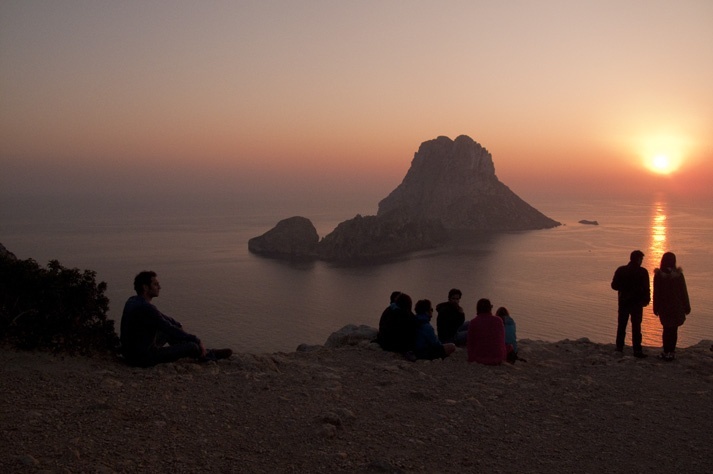 This opens natural platform on the cliff is one of the best viewpoints of the island, because from it you have a spectacular view on the famous island of Es Vedra, one of the representations of Ibiza. Although the sunset is best seen during the autumn, winter and spring, summer also worth a visit to this point. From this point you can climb to the Torre des Savinar. If looking for privacy , between the beach cove d’Hort this platform and numerous corners where watching the sunset alone. Do you like this sunsets viewpoints? If so, check our offers, book with us and get ready to enjoy your trip to Ibiza. 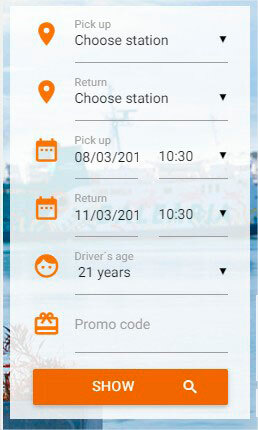 Moto Luis Rent a Car, car hire in Ibiza since 1956. 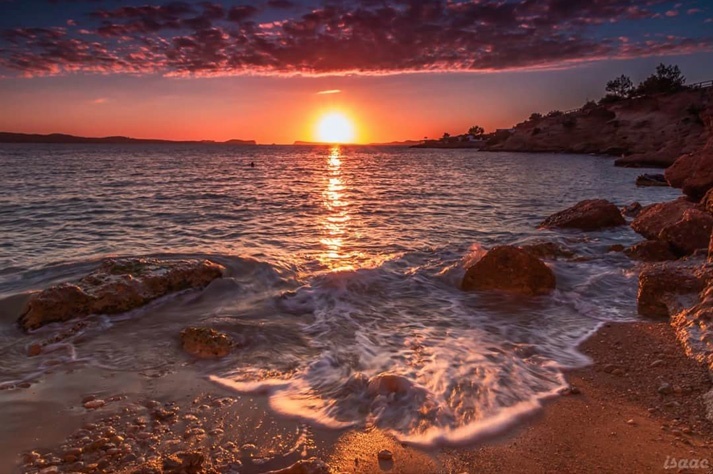 This entry was posted in Essential Ibiza and tagged Ibiza essential, Romantic Ibiza, sunsets, West Ibiza. Bookmark the permalink.